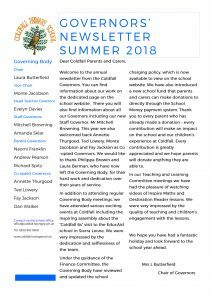 If you would like to contact one of the school governors please email the school office via Nia Harding Rickards, who is the clerk, who will pass on your query/concern to the relevant governor. 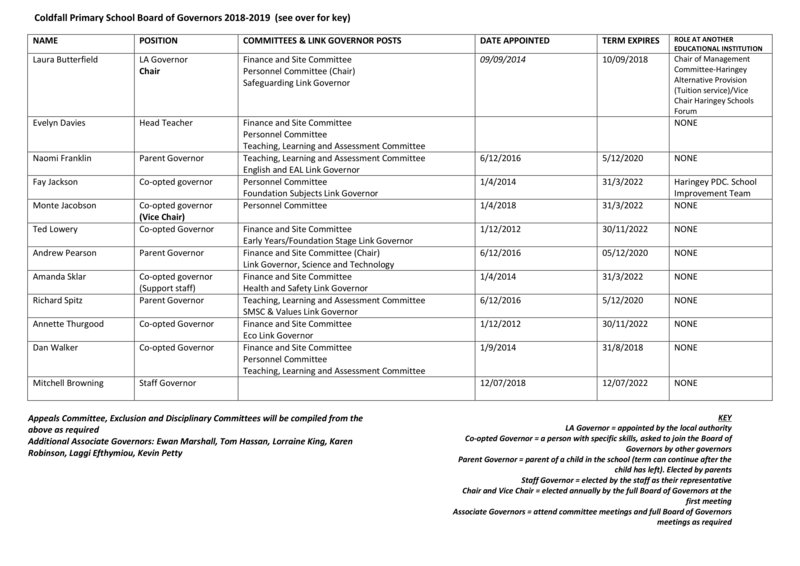 Please click on the governors names below to find out more about them. The governing body is responsible for the long term strategic direction of the school. It has statutory responsibilities including agreeing the school budget and expenditure and ensuring key policies are in place. Governors do not get involved in the day to day running of the school. The role is one of ‘critical friend’, asking questions and providing challenge and support in any areas in which they have expertise. 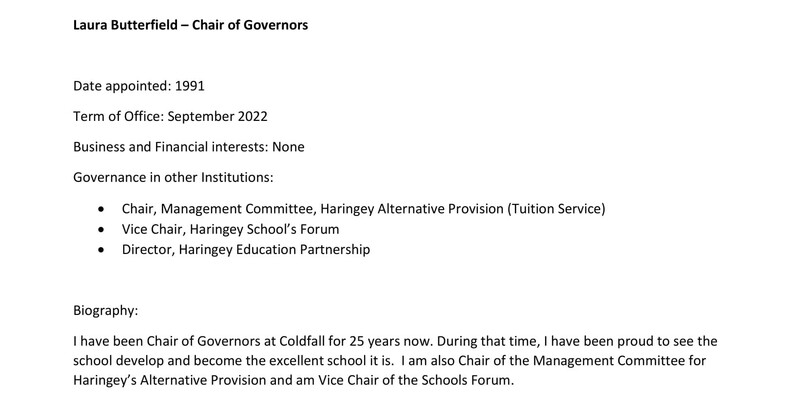 Governor training is provided – new governors can attend training sessions at Haringey’s Professional Development Centre (usually timetabled to allow for people who work full time) and the school also arranges training sessions in school, usually held before meetings. Governors’ terms of office are expected to be 4 years. They meet twice a term – once every six weeks for the full governing body meetings, usually held on Thursday evenings at 7.00pm in school. These meetings can run until about 10.00pm. Refreshments are provided! Governors are also required to join one of three separate committees, Finance and Site, Personnel or Teaching and Learning. 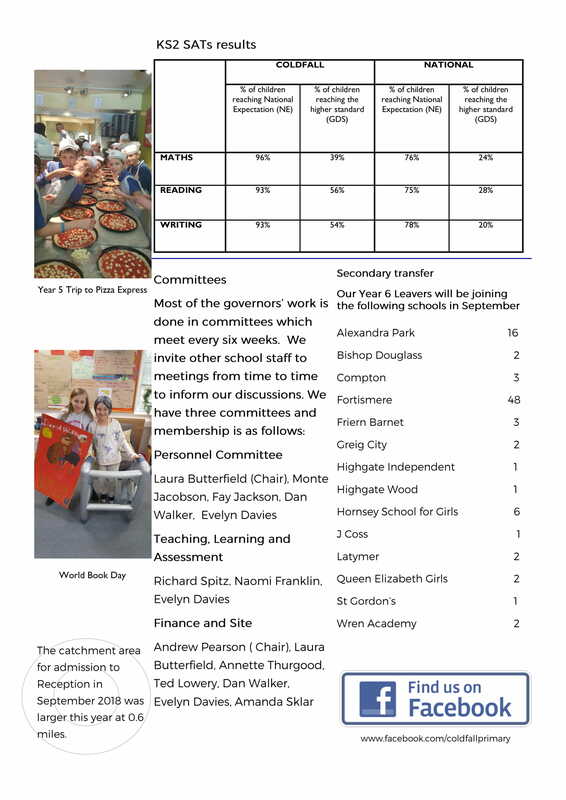 These committees usually meet mid-week at 8.00am in school, once every half term. The lead governor of each committee prepares the minutes and submits them to the clerk for distribution to the full governing body. 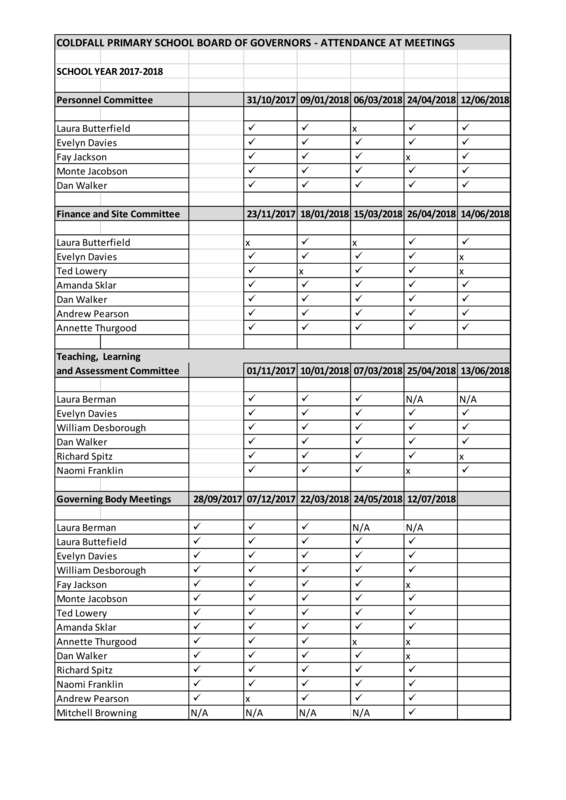 Personnel – to sit on interview panels, agree new staff appointments, agree staff changes and amendments, review job descriptions, salaries, performance management, dismissals; Parent governors do not sit on the Personnel Committee. Teaching and Learning – to review and agree school polices and curricular priorities, assessment data, learning and progress of pupils, parental involvement and the school’s provision of the extended day. 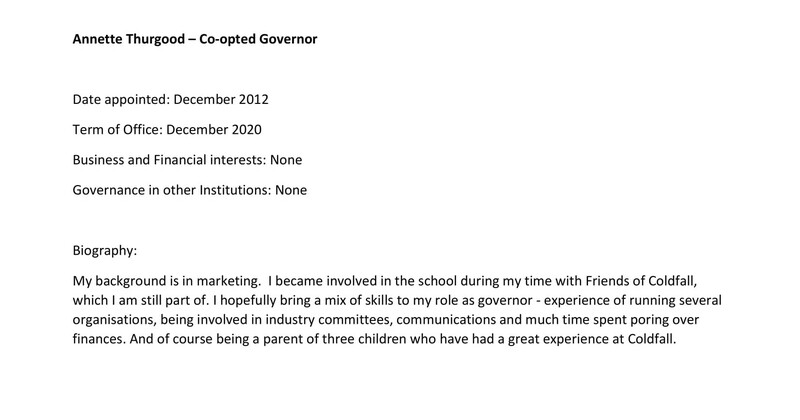 We also have ‘link’ governors with areas of specific interest linked to the School Development Plan. 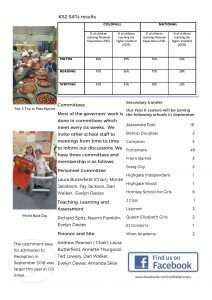 The minutes of governing body meetings are on the school website. 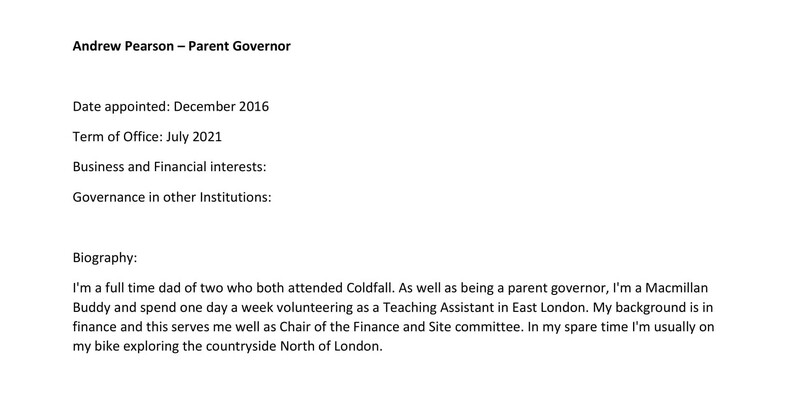 Nia Harding-Rickards, Clerk to the Governing Body on 0208 883 0608.